What factors lead to CTA bus routes being added or removed? 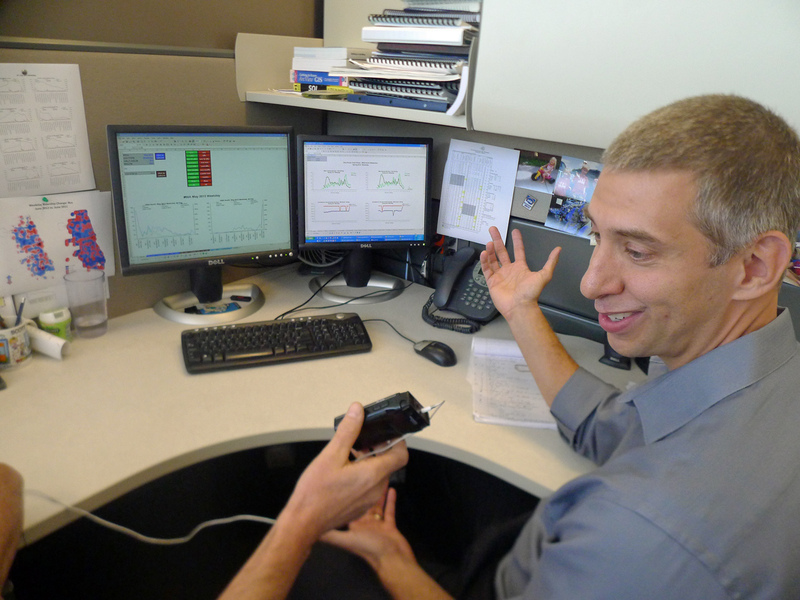 Jeff Schroeder shows reporter Ken Davis how he collects bus data. CTA's Scott Wainwright and his control center. 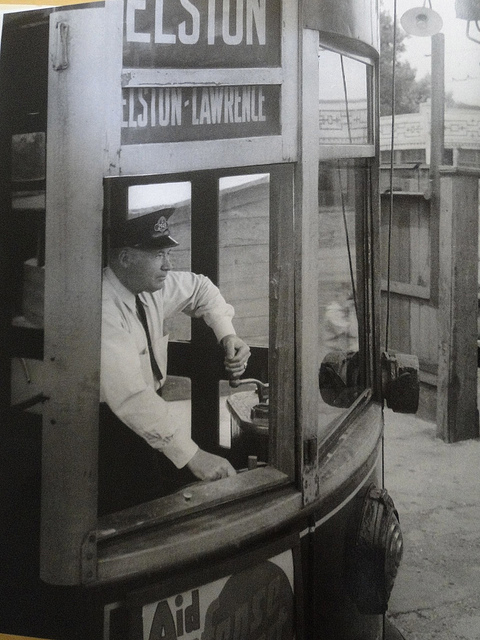 Motorman Nick Alver swings his controller handle as he guides a streetcar into the Elston carbarn at Elston and Addison in 1942. "Elston doesn’t have a bus line. What factors lead to bus routes being added or removed?" I&apos;ve been fascinated by transit in Chicago for a long time. And, like Corinne, I&apos;ve always wondered how this decision is made, and now I have a legitimate reason to find out. The first thing I did was put in a bunch of calls to the CTA. As I waited to get interviews set up, I thought I&apos;d visit a few routes the CTA is proposing to discontinue to see how well-traveled they actually are. First up I visited CTA route #56A (a PACE bus line runs a largely similar route). I went out on a Friday evening to check its ridership and followed the bus for three full circuits. Its peak ridership? Three people. One of them was Robin Lindy. She rides the 56A five days a week to get to her downtown job as a convenience store manager. Losing the line would be an incredible inconvenience, she says. And she adds that the coordination with the parallel PACE bus is not good. I decided to go out to another bus line on the chopping block. I tailed the 90N bus for a couple of hours on Saturday afternoon as it made its 2 1/2-mile loop from the Blue Line Harlem stop to a lonely bus turnaround at Touhy and Overhill. There were never more than a half-dozen people on the bus, and much of the time it was empty. Some of the passengers said the bus is more crowded on weekday mornings, carrying maybe about a dozen passengers at a time. But even Alphonso Furlan, who uses the 90N occasionally for work, but mostly for social purposes, says he knows the CTA wants to cut the 90N, and says he kind of sees the CTA&apos;s point. So these two routes did seem to have very low ridership. But how exactly does the CTA know that? The Kedzie Garage is located right off the Eisenhower. It&apos;s a cavernous, greasy bus maintenance shop, and it might not be the first place you’d visit to understand how big decisions are made about deploying buses and trains. But this guy who showed us around, Jeff Schroeder, plays a big role. He’s a data jockey. Obviously any decision to change or drop service is driven first by money. The CTA currently wants to add buses and trains to its highest-traffic lines, but without any additional money, they have to cut something else. And good decisions require clean data. 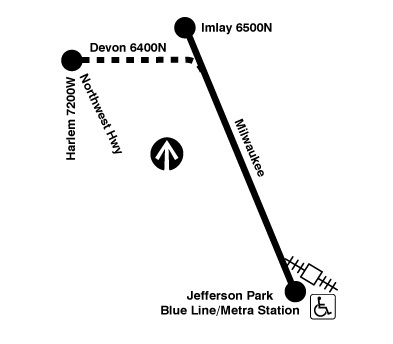 So Jeff has turned about 1,700 CTA buses into hunter-gatherers. They quietly, unobtrusively collect data. On you. We’re boarded the bus #1717 to see how it works. Jeff Schroeder pointed out an antenna on the garage ceiling that interrogates the bus’s wi-fi, asking essentially, “Hi, bus 1717, welcome home. How was your day?” And 1717 says electronically, “Ugh, it was tough. I had 340 fares,” or some such thing. On the bus is a mysterious cabinet – you’ve seen it, that black box right behind the driver – and it’s loaded with computers, recorders and GPS devices. A blue box inside is actually the computer that collects the data. It’s the heart of all the data that they collect. That’s because the passenger counters are actually double-infrared beams spaced far enough apart that they can decide, depending on which beam you pass through first, whether you’re getting on or off, while the GPS reveals what stop the bus is at. And all that data quietly accumulates until the bus returns to its garage and spills all its secrets. So where does all that data go? To the planning department at CTA headquarters. On a couple of screens, Scott Wainwright and his crew can pull up and crunch a massive pool of data about how you and I use CTA buses. Scott said it’s easy: “We can tell you by half-hour how many people rode the 79 bus, by half-hour what direction and what stop." They know how many people are on any bus at any given time. If ridership is consistently low, maybe that bus isn’t all that vital. And the screens reveal some interesting factoids. It’s just as you harried riders of the Chicago Avenue bus suspected: By the time you reach Chicago and State, it’s 30 percent on time, 46 percent late and 23 percent early. The bus knows, and it’s telling. So money and research are behind these decisions, but that’s not all. CTA President Forrest Claypool said demographics can be taken into account in some circumstances. And then there’s one final factor - public input. There’s a hearing on the proposed service changes next Tuesday night, Sept. 4, at CTA headquarters, and if you have an opinion, you should make your voice heard. And if that doesn’t work, have your alderman give Forrest a call. This is still Chicago, after all. So back to Corrine’s original question that started it all, about why Elston doesn’t have a bus. Turns out Elston had streetcars and then several bus lines for more than 100 years – until consultants recommended killing them off in 1997. 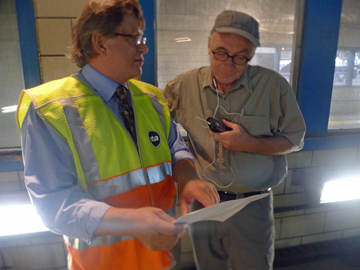 Click below to hear how and why the Elston route came and went from CTA Historian Bruce Moffat.